March 8th is International Women’s Day. It is a day to celebrate the achievements of women throughout history and across nations. Of course, when we ponder the achievements in the women’s movement, our thoughts turn to the fabulous Ada “Coley” Coleman. Ada Coleman, known to her friends and customers as “Coley,” is perhaps the most famous and the best-known female bartender of all time. In the pre-prohibition age, it was a man’s world behind the bar. Well, evidently someone failed to let her know that, or she just didn’t care. And for that we salute her. Ada was 24 when she began tending bar at Claridge’s in 1899. 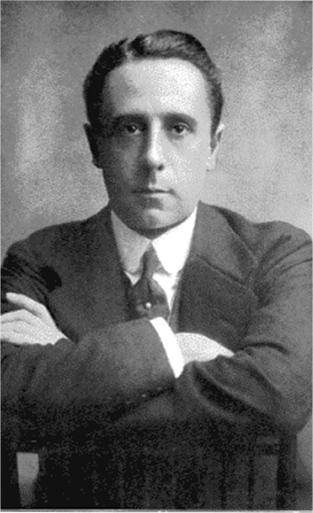 Her father had been employed at Rupert D’Oyly Carte’s golf club. Carte offered her the position at his hotel, The Claridge. She made her first cocktail at The Claridge – a Manhattan. We love her for that. And it must have been a good one. She moved on to another of Carte’s properties in 1903. The bar was none other than The Savoy’s American Bar where she was named head bartender. Ada served in that position until 1926, when she was 51 years old. Her time at the Savoy overlapped with Harry Craddock, who some say she mentored. Her sparkling personality and kind-hearted nature made her a favorite of the guests. Over the years she made cocktails for celebrities, authors, princes and millionaires. When she was not behind the bar, she was at home entertaining theater people. Her parties were filled with song, dance, and music. 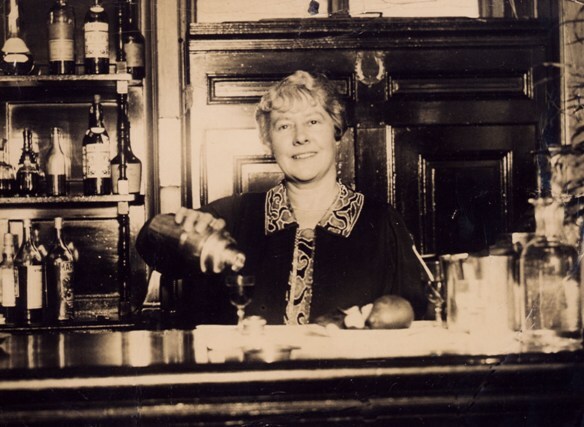 Ada Coleman was the only female head bartender of The Savoy. She truly is a legend and an example of women who have broken through and made history. She is also proof that a good drink can be healthy, as she lived to the age of 91. And so, Ada, we lift a “Hanky Panky” and salute you and all women bartenders today! 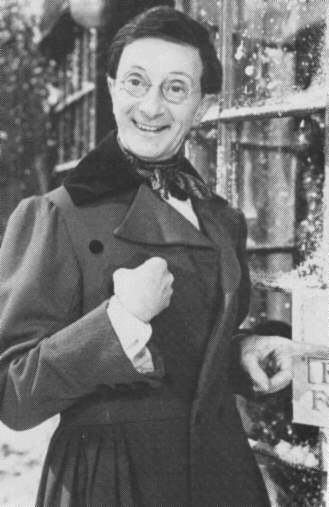 The picture above is actually not the Charles Hawtrey for whom the Hanky Panky was made; it’s the later actor, whose real name was George Hartree, who assumed the name Charles Hawtrey in the hope that it would be assumed he was related to the famous actor manager.